Cross Creek is a pristine 10/10*/10 Good Sam rated park. 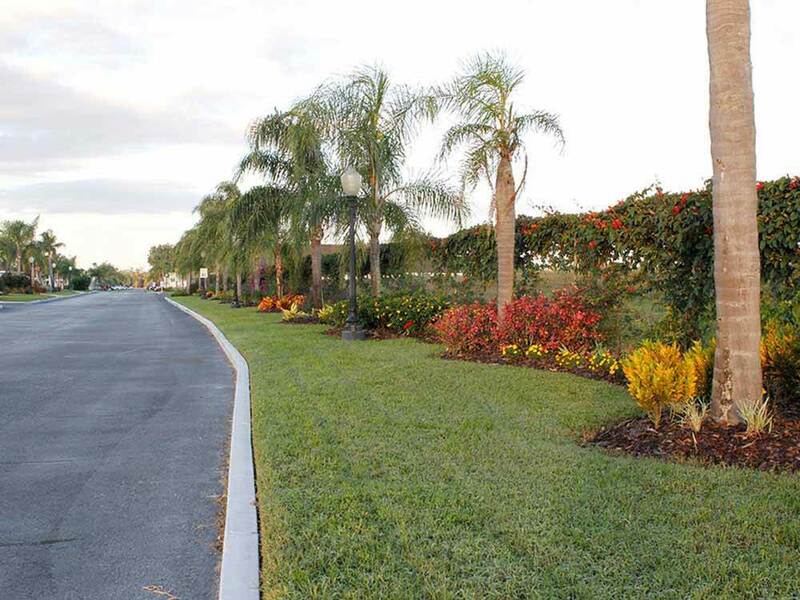 Exceptional living in a gated resort with beautiful landscaping, full amenities and activities. 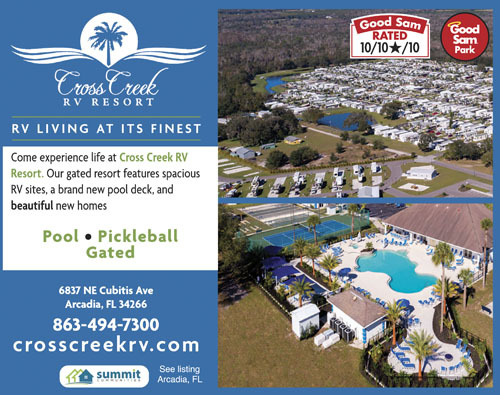 Large RV sites, wide streets, Olympic-size pool and 2 large clubhouses. I don't think this park deserves a 10. Its web site advertises wifi and cable TV. Wifi is paid and no cable. Staff was friendly as were residents. They are mostly permanent with few RV's Large park with fened dog park Concrete patio but gravel pad. As you enter the resort you will find a well maintained entrance of flowers, greenery and beautiful palm trees. The streets are paved and well lit. When we were escorted to our lot it was spacious with space for two vehicles in front of our unit with a large patio area. There were lots of activities with-in well-maintained buildings. We could be busy with tennis, bingo, shuffleboard, pickleball, bocce, pentanque, horse shoes all on well lit courts. Our dog was happy with two dog runs located within the park. Oh, and what about the pool? It is huge as well as heated with a hot tub. We found two golf courses within seven miles which made us very happy. We also found the staff to be very helpful as was the maintenance people helping with problems which were none.